David: On the canal you get used to a certain amount of randomness. Everyday a parade of things float by outside the window. Although certain things are perennial – coconuts, beer cans, plastic bags – there always remains a degree of randomness. 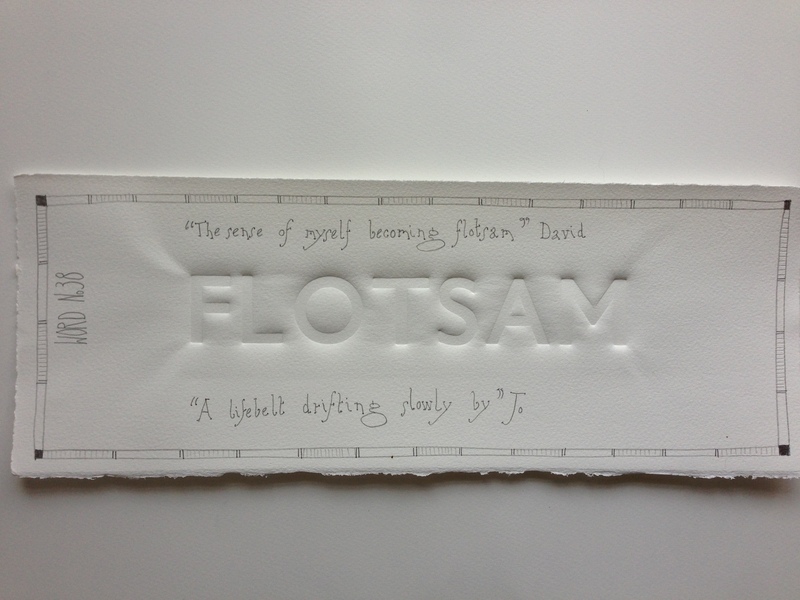 However, today floating passed was flotsam in the legal sense of the word – the wreckage of a boat. A sad story reconstructing itself from bits of wood, rope and burnt clothing. A moving map of a sunken home along the way. I was overwhelmed with the loss and the sense of myself becoming flotsam in the coming weeks. Jo: A few years ago I did a project on the Greenwich Peninsula, which necessitated me walking across it several times, recording evidence of water (I’m an artist!). The work finished with me spending 4 hours standing still by the side of the Thames recording what went past me every hour, either on the path, or as Flotsam. Two things stood out which might help your feeling of being flotsam. One was a lifebelt drifting slowly by as if in search of a body to be rescued, the other was the interest and help I received from strangers passing by me. This entry was posted in 50/50 and tagged canal, flotsam, Grennwich, words. Bookmark the permalink.